Additionally we are the first ones to have a paper tension bar for the RJ-900X. 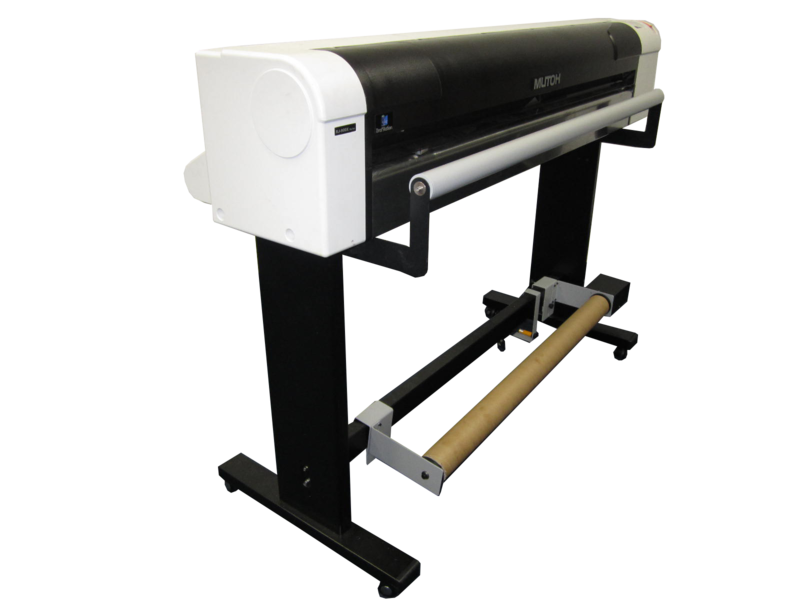 Our manufacturing partner has developed an easy to install tension bar which smooths the paper for easier imaging, reduces paper cockling, increases the overall imaging speed and helps to reduce printhead strikes. If you include the bar with the take-up system, the bundle list price is $695. If purchased separately the list price is $175. Both units are shipping immediately. To see the GO Take-up System in operation, please go to: Take-up on YouTube. For more in-depth info please go to: http://www.graphicsone.com/go-44-inch-media-handling-takeup-system-for-mutoh-rj900x-printer.html.